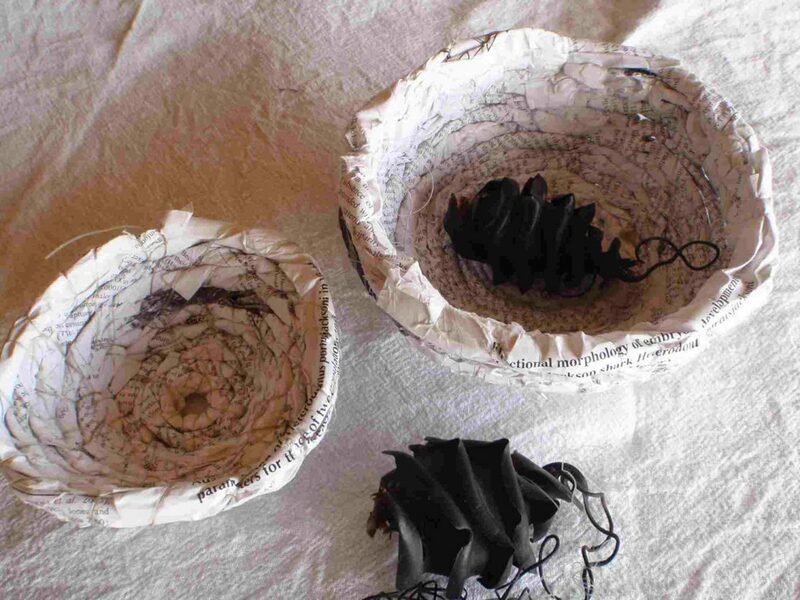 Sometimes an idea comes to me that is inspired by research and the materials at hand. The ‘shark research nests and eggs’ installation highlights that research and knowledge is indeed a protector, just like a nest protect the young. 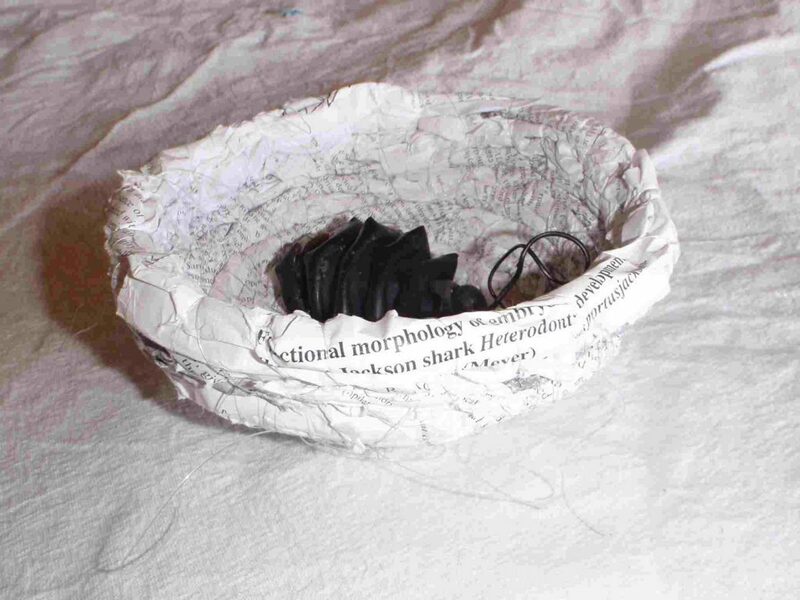 I created the nests from scientific research articles printed on plain twisted A4 paper and wove it into nests. I found the shark eggs washed up on the shore after a large storm near Coffs Harbour. 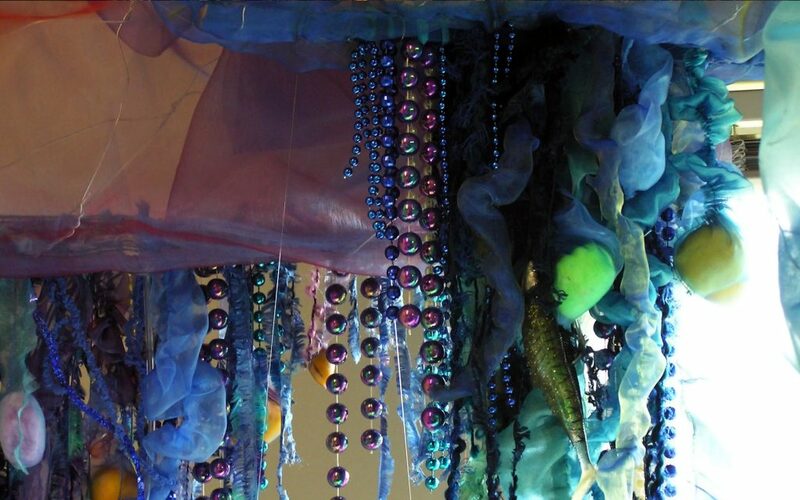 The large blue bottle installation was used in an Exhibition title ‘OUCH –confronting natures nasties’ at Auckland Museum New Zealand in 2004.